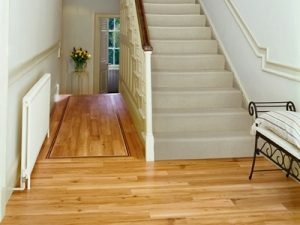 In this tip of the week we take at look at Floor options throughout the home... for comfortable living. 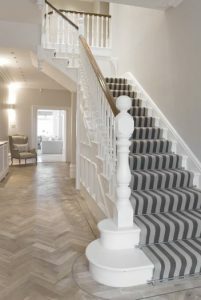 First things to consider when choosing your floor are warmth, noise, functionality, look and traffic. 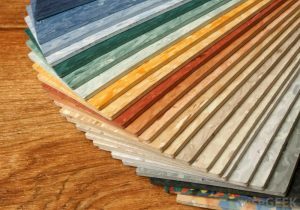 At Interiors we have years of experience of advising on floor types and have master tilers and hardwood floor layers to hand. I have no favourites, but love to get it right. I love using one surface throughout the room. 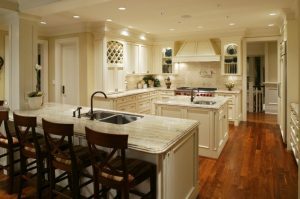 I have a pet hate of using different surfaces in kitchen diner areas - it makes it all look smaller, narrower, darker and cramped. One very important thing to remember is quality underlay for wood and laminate floors - it really helps with sound effects and doesn't cost much. 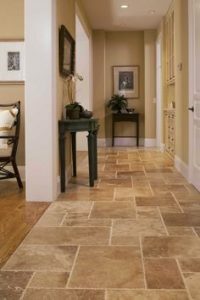 High traffic areas such as hallways, kitchens and family rooms are perfect rooms to use hard wearing and enduring floor surfaces. 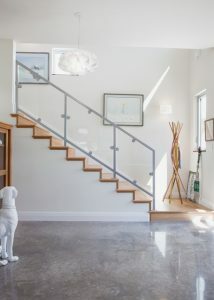 Surfaces such as stone, tiles, wood floors, laminate, polished concrete or industrial concrete finish are ideal floor types for these busy high traffic areas. 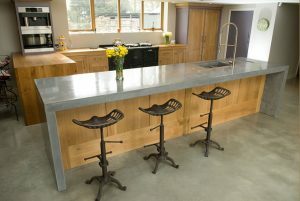 Polished concrete can give a very understated look and feel, allowing furniture and or soft furnishes to flourish in the design. 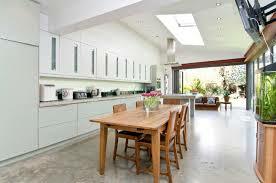 They are also extremely practical in high traffic areas, whilst also drawing in a lot of light. 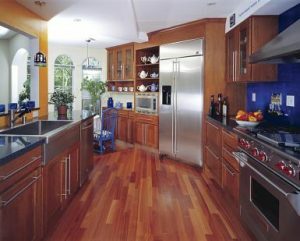 It works equally well in both modern and traditional style kitchens and family rooms. 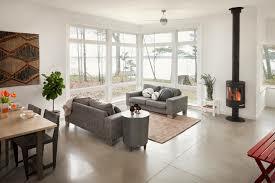 Using hard surfaces in every room in the house doesn't really work often from a noise point of view. 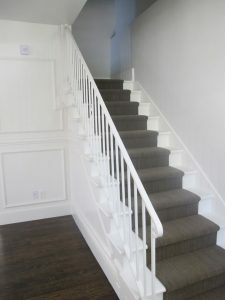 It can be helpful to use some carpeting on the stairs and landing. This is also a much better option from a safety point of view. 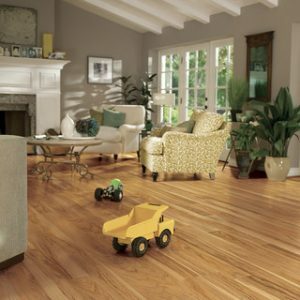 Talk to me about helping you find the perfect flooring solutions throughout your house. Email me here or call me on 01 994 3675.